Provide comfort for the family of Wilfred Lynch with a meaningful gesture of sympathy. 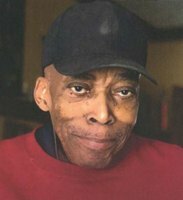 Wilfred "Waff" Lynch went on to be with the lord on Sunday January 27, 2019. Wilfred Lynch was born on July 9th, 1934 to the late Rachel Johnson. Wilfred earned his education at Cambridge Ringe and Latin school in the city of Cambridge where he grew up as a young man. Upon his graduation he enlisted his services to marines on may 4th 1954 where he earned the rank of private first class. He recieved the national defense medal while serving in the Korean conflict January in 1956. After proudly serving his country he returned home to Boston mass where he would later marry his wife of 50 years Gloria Jean Grant. This loving union produced 5 children. Tamiko, Bernard-Tammy, Gene, Branden, and Wilfed Lynch (deceased). He also raised his grandson Addison Lynch. Wilfred worked two full time jobs most of his life. He loved driving tractor trailer and also drove MBTA bus for many years before his retirement. Waff was a master of all trades. He spent many hours fixing any thing from house hold appliances to repairing car engines. No matter the time or place there wasn't a thing that Mr.Lynch couldn't fix. When he wasn't helping his friends and family, he loved listening to jazz and spending time with his grandkids. If you were looking for him, you could find him cooking on the grill, smoking a cigar while drinking his favorite beverage Johnny Walker blue. Wilfred "Waff" Lynch is survived by his wife, Gloria Lynch, his children Tamiko Lynch-Forbes "Levi" Bernard, Gene, and Branden. His grandchildren Addison, Wilfred Taje, Javar (Coleman), Bernard, Jaden, Khalil, Kayne, Jolene, K'Raun (Forbes), Kaytlyn, Kai (Forbes), Breann, Blake, Ava and two great grandchildren Zuri and Lirah. His siblings Edward, Germaine (Wolcott). His sister in law Annie (McDaniel), Carrie Pearson, Mainer Joyner brother in law David Jenkins aswell as a host of nieces and nephews. There will be a Viewing on Tuesday, February 5, 2019 from 10:00 to 11:00am followed by Funeral Service at 11:00 O’clock, Prince Hall Grand Lodge, 24 Washington Street, Dorchester, MA 02121. To send flowers in memory of Wilfred "Waff" Lynch, please visit our Heartfelt Sympathies Store. We encourage you to share your most beloved memories of Wilfred here, so that the family and other loved ones can always see it. You can upload cherished photographs, or share your favorite stories, and can even comment on those shared by others. Provide comfort for the family of Wilfred "Waff" Lynch by sending flowers.